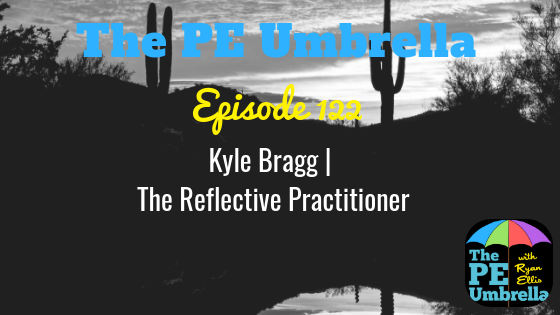 Welcome to The PE Umbrella Podcast, episode 77 and a truly awesome resources episode! 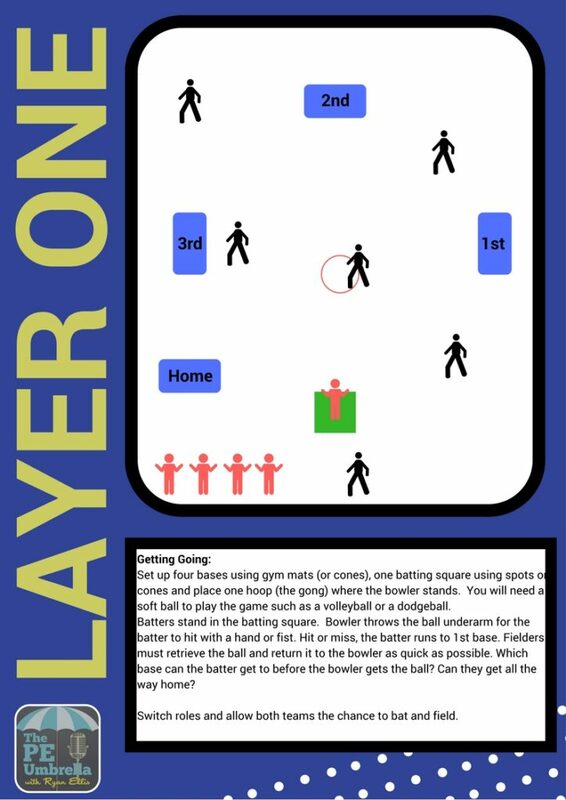 I am so excited this week to bring you a magnificent and entertaining Striking & Fielding game called ‘Ellis Ball’, named as such after harnessing inspiration from my interview with Joey Feith (Check that HERE) and talking about ‘Calvin Ball’, a game with rules that are made up as you go along. Combining my own knowledge of striking and fielding games, other interesting concepts I had seen in the past and the ideas of the children I worked with, Ellis Ball was born. So listen to this weeks episode to hear all about it and why you should give it a go this term at school…any age group! Click on the button below to grab the FREE PDF document to accompany your listening. I hope you enjoy this weeks episode and I’d love to hear if you give Ellis Ball (or whatever you want to call it) a try! Tweet me @ryansporting or email me at ryan@peumbrella.com. 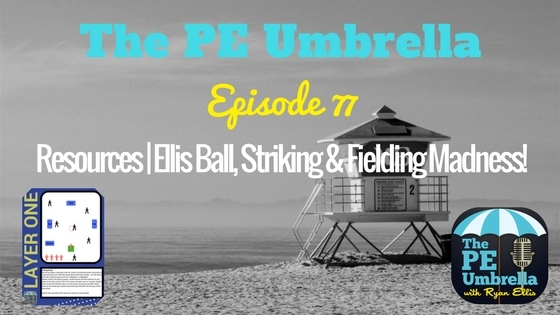 The PE Umbrella faithful… If you enjoy listening to my weekly episodes be sure to subscribe to The PE Umbrella on iTunes or Stitcher radio by following the links above. It would be amazing if you could rate and review the show there and give me your feedback as it will help me further improve the content and the show that I provide for YOU going forward. 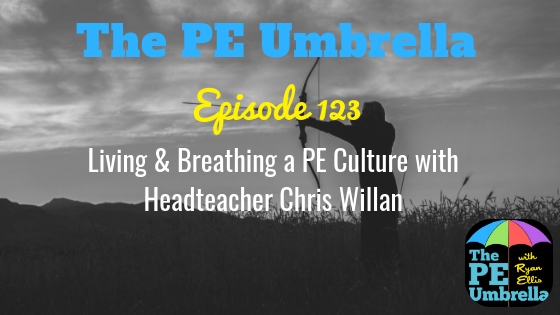 Have a truly outstanding year motivating, engaging and inspiring your students, and I’ll catch you next time ‘Under the PE Umbrella’. Reflections | PE Shouldn’t Be Mandatory in Public Schools!